So 2014 rang in with the news that the very app that has paved the way for disappearing shirtless pics, silly faces, why do I need to see these moments, and Snapchat stories turned 20-second selfies has been hacked. Nope. Your phone number is the only piece of information that the hackers made public. 4.6 million of them. 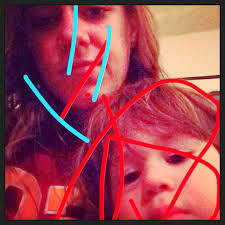 Ok … the arts skills are from the kid. Hold up! Stop deleting Snapchat, cursing them on Twitter, and posting sad faces on Instagram that your career is over. You’ll be fine. As someone who’s in the advertising industry, acquiring information as someone’s phone number is relatively easy and typically not as important as some of the other information as one can get just by having you spending time online or in an app. This year will be an interesting year as we see how our relationship with privacy, the law, advertising, and users and hackers will change as people are finding out that as long as you spend time connected to technology, you will be easily tracked. Yes, of course Snapchat and Skype should have taken more precaution in securing the code of the app but a lot of information isn’t safe in apps or online and it’s also the user’s responsibility to make sure what s/he decides to use when signing up for apps and how much s/he want to put out there. While companies behind these apps need to work even more fiercely to protect the users, hacking and security breaches will be part of this digitized world. 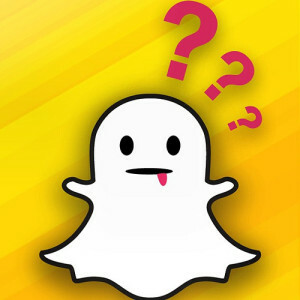 Snapchat knew about the security breach before it went public and normally we do put a lot of trust into our apps and online activity but we do need to be very aware that there’s people handing our information and there’s still little enforcement of what’s going on in the privacy arena as well as keeping companies accountable. Here are some of what people were saying towards all of this and my responses as an advertiser. While the hackers in no way did this for advertising reasons I just wanted to share some insight that having phone numbers released is not as big of a deal as people may think. For the most part, your name, number, and email will always be obtained. No! How will I procrastinate? 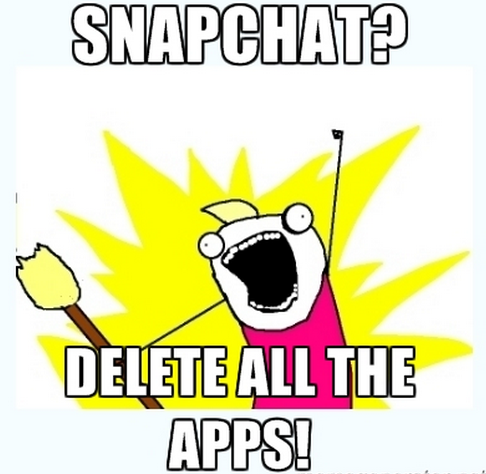 On a more important note though, deleting Snapchat won’t actually do anything. The hackers still have your phone number and you probably signed up with an email so someone somewhere has that information too. You should review your online footprint and seeing what information pops up when you Google your name, number, address, etc. and making sure you have strong passwords for Snapchat as well as all of your accounts. Deleting Snapchat is just erasing the fun out of your life of sending people awesome visual check-ins of what you’re doing and seeing a few seconds of comedy each day. Nope. Thankfully, the public list did cover up the last two numbers but even if they didn’t your phone number can easily be found and companies sell each other this information (and more!) all the time. 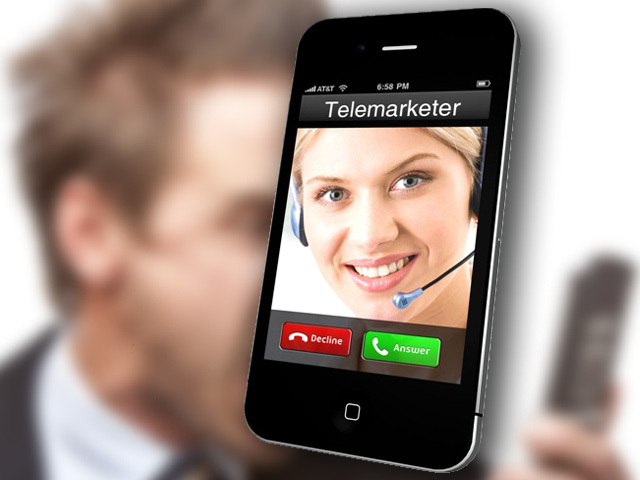 Have you ever received a telemarketer call and have no idea where they got your number? This could be happening more or companies/organizations will find more indirect ways to reach you as they uncover other information. If you’ve ever put your number anywhere online a strong perseverance with Google can tell me how to contact you. Or Data.com if you’re somebody. 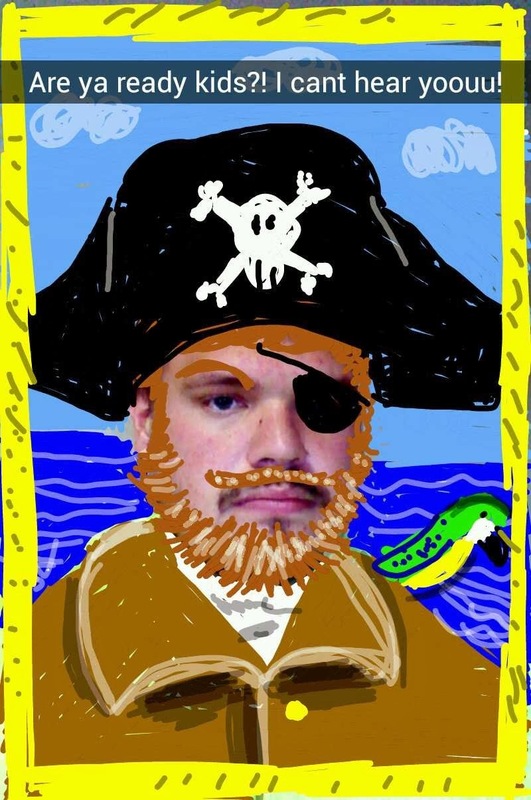 Snapchat’s hackers aren’t releasing info that’s really drastic. It’s your phone number, not your Social Security number. Actually telemarketers are really annoying. Maybe. Maybe not. Maybe Snapchat already has every Snapchat stored because, you know, Big Data!!! But maybe not. In any case, just like you shouldn’t be texting scandalous photos, taking a precaution on sending racy material should always be top of mind. Once the Internet became a thing, everything is forever and everyone is a public figure. Plenty more info! I’ve compiled a list for you of what, at least in the advertising industry, love more than calling you and just having you hang up on us. We can find out all of the below info just by you downloading an app. 6) Daily habits and general profile based on users your age, location, etc. … and so much more! Remember, as long as you are connected to technology (phone, computer, app, etc.) anyone can track you and your information. 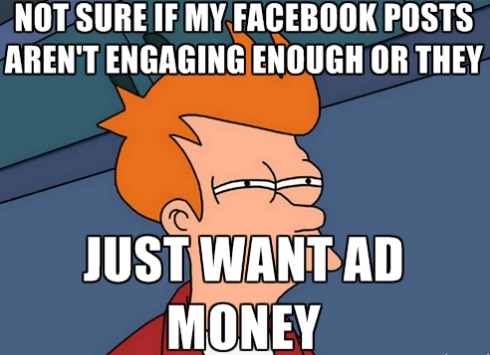 In advertising, it’s because you are a consumer. You buy stuff and it tells the market how everything is run. While it may be annoying to be bombarded with constant car ads or whatever we think might suit you, the fact of the matter is you are always looking for products that are of the best value and make your life easier. Everything from food to to clothes to apps. We have to know what you do and what you like and instead of taking you out on a nice date, we Facebook stalk you. 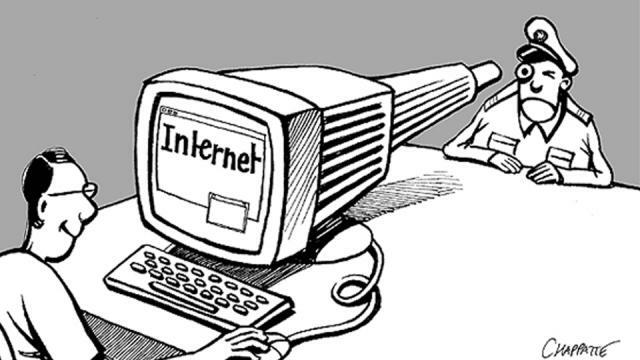 Privacy ended when the Internet became a thing. Everyone’s a public figure. From WikiLeaks to Snowden to Snapchat, we are seeing examples over and over again that technology is making it easier to obtain very personal information. Your numbers aren’t safe as well as our highest officials can’t keep national security secrets away. The Internet is a significant part of our lives but it’s still very much the Wild Wild West in terms of how to control how we use it. Everyday, people are getting smarter in coding and hacking and Internet Responsibility should start being part of an elementary school education. People are saying they are willing to pay $5 for an app that respects their privacy but what does that even mean? There are free and paid services that people can access that monitor people’s usage and it’s that information that can be more useful. When it comes to selling information, there will need to be government backing in terms of monitoring what goes to companies so that users don’t get abused. Phone numbers? Meh. Social Security numbers? Absolutely not. OMG me too! Below are a few things you DO have control over when it comes to making sure you are a happy and health Internet and mobile user. And here’s some more tips! 1) Change passwords as much as you do laundry. OK so maybe that’s a little too frequently but definitely change it approximately every three months. (Please do laundry at least every three months.) I’ll usually have it a variation of the same word so I don’t forgot. Including accents from foreign languages, symbols like $, and using letters and numbers are particularly helpful. 2) Name1234 is easily hacked. Don’t have personal info in your username. If your birthday or last 4-digits of your Social Security number are in your username, then that can pose a threat to future hackers. 3) Be a ninja. Don’t like the overlords tracking you? Download Chrome and do your Internet and mobile browsing in an Incognito tab. Such practices lead to cheaper flights, pure Web browser histories, less crazy ad suggestions, and improved ninja abilities. 4) Did you inhale it? That’s the point. 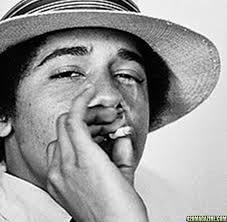 Even the President had to vouch for his weed pics and college days. While it’s great to YOLO, don’t have major FOMO over a job. Now that’s missing out. This includes no racy pics unless you want to explain that in a job interview too. 5) BIG DATA IS HERE!!! All of your tweets are being saved by the Library of Congress, all of your likes and habits are being saved by Facebook, and everything you ever do and post is being monitored. Just like you should think before you speak, think before you post. The government and advertisers can easily create a profile of you and are constantly thinking of ways of getting you to vote and buy. I hope this blog post helps! I’m very much opening this up as a discussion and would love to hear comments. Again, this post wasn’t meant to support Snapchat in their advertising purposes (clearly the hack wasn’t) but to get everyone to start thinking of how their online activity is going to shape their world and digital world and what being on a website or in an app means because it could be your Social Security number next. You aren’t a private person anymore and your information has all been digitized now that it’s 2014.